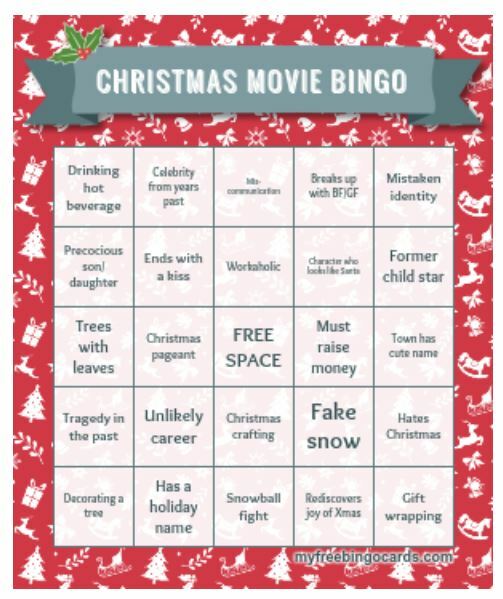 Last year I came clean and told everyone that I love Hallmark Christmas movies. I have to admit though, not everyone in my house shares my affection (you too? )—but I think I have a way to fix that…or at least make my family grumble less when I have one on. 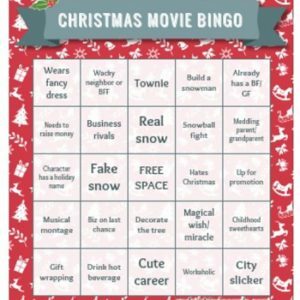 Rather than numbers in the bingo squares, you’ll find words and phrases representing the many common elements found in these holiday flicks (you’ll find five different cards at the end of this blog). 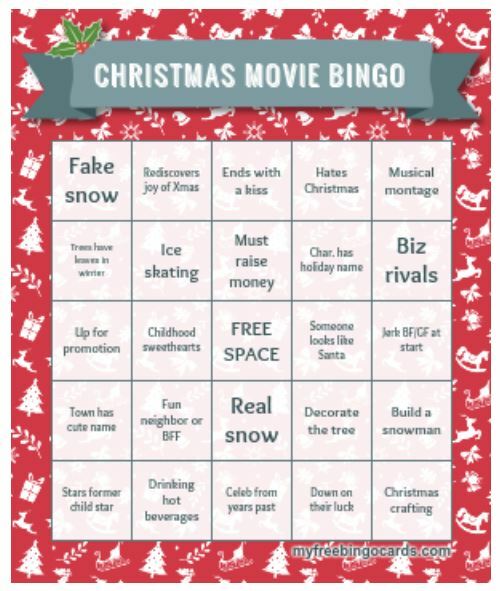 I think it’s an approach that should please big Hallmark Movie fans AND those who love to hate them. 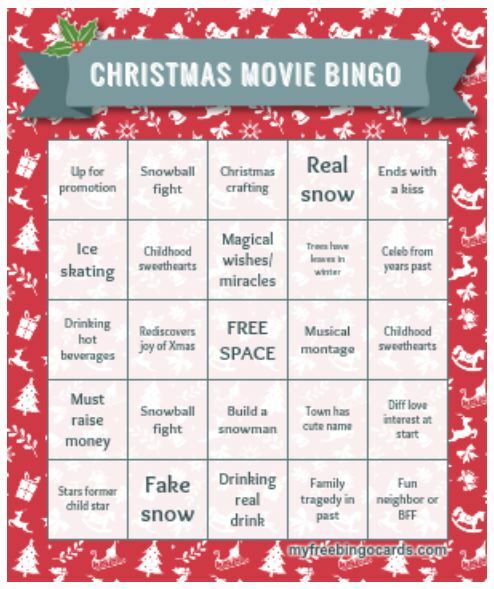 For families: Print off a batch of cards and leave them on the coffee table so you and anyone else can grab one and play along any day of the week. All ages could use holiday candy as edible markers (Hershey’s Kisses, perhaps?) or holiday stickers if you want to keep the sugar to a minimum. 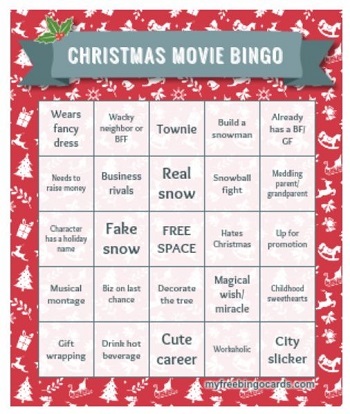 Finding a movie is literally the easiest part of this game. 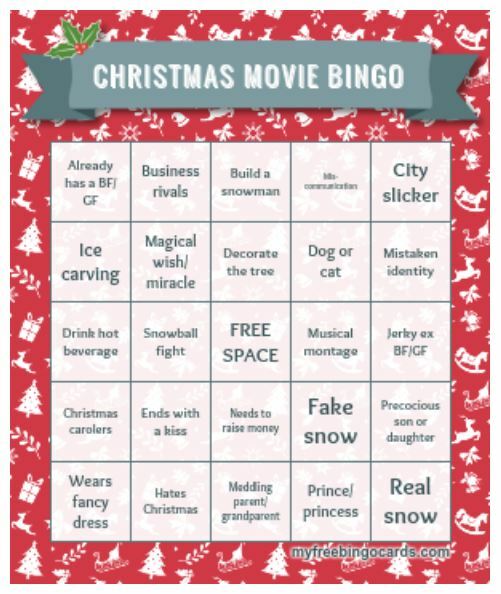 Hallmark is playing them every night of the week right now (yippee!) as part of their annual Countdown to Christmas. And, they’re playing on two channels: both the Hallmark Channel AND the Hallmark Movies & Mysteries channel. Print and cut characteristics, plots, co-stars, and scenes listed above onto thick paper and put them in a bowl to play around with. You could also get fancy and use actual printable magnet sheets (like these, for example) and put them on your fridge for a little holiday fun. 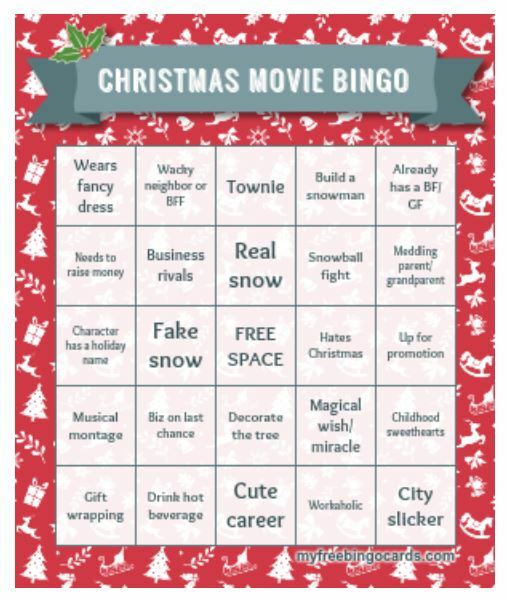 Here’s the schedule for Hallmark’s Countdown to Christmas 2017 so you won’t miss a thing (so far I give thumbs up to “Marry Me at Christmas” particularly). Note that Hallmark’s showing lots of new movies over Thanksgiving weekend, so be sure to set your DVR!